Mortal Kombat looks to land a fatality on the used game market with its own online pass. 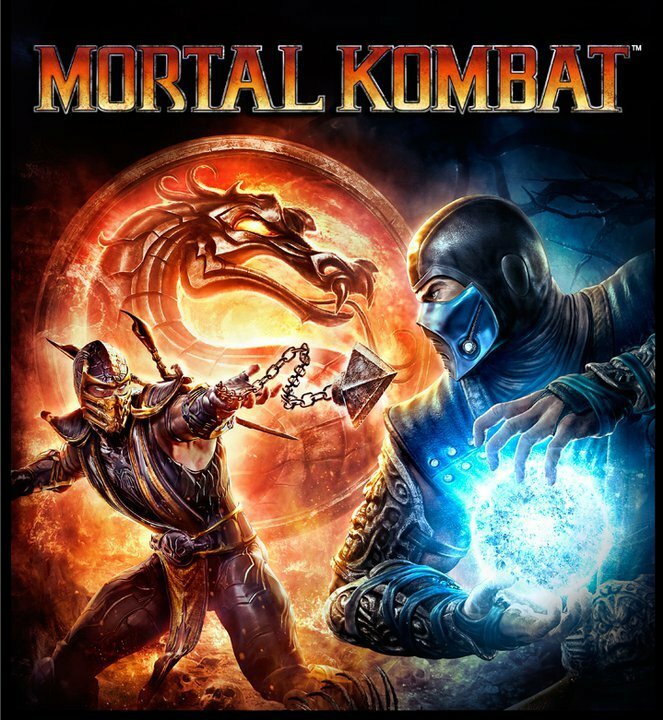 Mortal Kombat released yesterday for the PlayStation 3 and Xbox 360. The game is one of the first pure Mortal Kombat games in the series to feature bloody fights over an expansive online multiplayer. Before its release, there were rumors that the game would include some sort of online pass, similar to what Electronic Arts and THQ use. Those rumors are now confirmed to be true. NetherRealm Studios calls their version the “Kombat Pass.” The code is included with all new copies of the game. Without the Pass, players cannot use the game’s online multiplayer on a permanent basis. Mortal Kombat is the first fighting game to use an online pass. Those without the Kombat Pass still get a 48-hour trial of the online multiplayer to be used at a time of their choosing. The Kombat Pass costs $9.99 on the PlayStation Store or 800 Microsoft Points on the Xbox Live Marketplace if a player buys the game used. Furthermore, there’s conflicting reports on whether the Kombat Pass is linked to the player’s system or the PSN ID/Xbox Live Gamertag it’s redeemed on. If it’s the latter, then only that specific player will be able to fight online, and other users on the system will have to buy an additional Kombat Pass. When we sell a game, we need to recuperate the cost of development. These games cost many many millions of dollars to produce. If somebody is re-selling our game and cutting us out of the sharing of the profits of the game, to pay for our games we need to do something to protect our investment. For the guy who bought the game for the first time you get online free. You get the entire game. For somebody who went out and bought it for $20 or something, for considerably less, we feel like they haven’t paid full price for the game. Mortal Kombat retails for $59.99. UPDATE: An inquiry to Warner Bros. Customer Support confirmed that the Kombat Pass is limited to just one user and one console. Other accounts on the system can’t use Mortal Kombat’s online multiplayer once the Kombat Pass has been redeemed on a specific PSN ID or Xbox Live Gamertag. Such a shame what the industry has turned into. I realize how anti consumer the whole idea is but at the same I do understand that losses need to be recuperated. I may not be a fan of mortal kombat but even I can see the amount of effort and content they put into the game. That says a lot about what this game means for the mortal kombat franchise. This is its chance to come back and leave the bad rep the franchise has gotten over the years. It would be terrible to see it considered a failure simply because the majority bought it used. If mk 9 is deemed a failure I doubt the company would be willing to risk more loss and probably not make another. Like I said I’m not a huge fan of mk but I understand the need for a variety of fighters to keep the genre growing. On a side note it saddens me to see this site so focused on online passes lately when other more interesting news is out there like nintendo announcing their next gen console. I believe it makes perfect sense. The only people this affects are the people who are not willing to pay for the game. I purchased mortal kombat and it was well worth the money.Why should people be aloud to play from free or get it for a lower price than retail. I’m sorry but I’m on WB’s side all the way. Hmm, it seems like a rip off to me. I just bought the game thinking that my wife and I would be able to play online together if we so chose. It was already 60 wingwangs, so why should I have to pay 10 extra dollars for functionality the game should already have? 3looka, did you buy Mortal Kombat new or used, or did you borrow it from a friend? It could be that the Kombat Pass code has already been used by another person. If you bought the game used, then the code won’t work since it’s probably already been redeemed. If you bought the game new, the code should work. If you bought the game new and this is the first time you’re entering the code, triple check you’ve put the code in right (sometimes you put a number instead of a letter…the code can be tricky). If you still can’t redeem the Kombat Pass, I would call up Warner Bros. customer support for Mortal Kombat. The number is 410-568-3680. They should be able to help you. Hope you get it fixed and can start fighting online! Well, here is a trick. Buy it new, use the code, then give it back to the store. Games prices have become quite ridiculous as of late. And now they want you to spend 10 bucks + more on top of their ridiculous price. 70+ bucks, is groceries for more than two weeks. I NEED food, but I do NOT NEED games. I’m gamer since I was around 6, and that means I started with the Atari. Seeing this industry today, it’s quite sad what it has become. I have never payed full price for any of my 360 games and I refuse to. Where can i buy mk9 kombat pass the pages are ruined!